SBK Motoworks: Another Gold on Bet! It's another Goldbet Replica for another friend (we are not only sell, we makes friend). 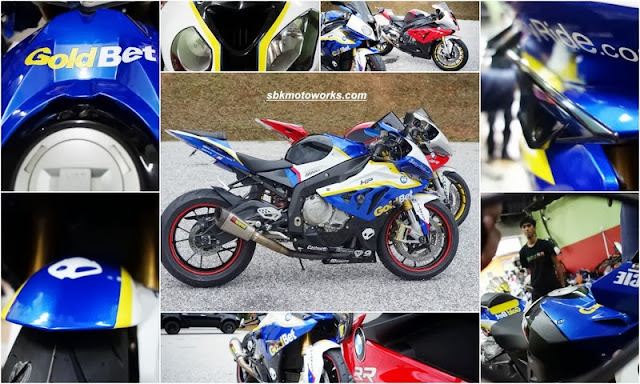 The cost for the whole set (with installation) just 2% from the value of this superb S1000RR, but it's indeed determine the 90% of your bike's appearance! From the look, head-to-tail, mood, style, identity, characteristics, soul, engagement of your bike and you. At SBK Motoworks, we know how important of those elements, because we are also bikers like YOU. Happy Customer from New York!